2018 Back to School Buyers Guide: Which Apple iMac is best for education? If you're going back to school this fall, and you need a new computer, you've got many choices when it comes to what to put on your desk. If you've chosen a Mac, AppleInsider looks at which model is right for you. Apple, which sought to dominate the education market in its early years, fell behind in recent years, so the company launched a big push this past spring to reiterate its commitment to schools. And while the new product from that push was an iPad, Apple is clear that Macs are part of its education solution as well. When it comes to choosing a computer to use in the fall, there are plenty of Apple-related options; AppleInsider already looked at iPads and MacBooks. 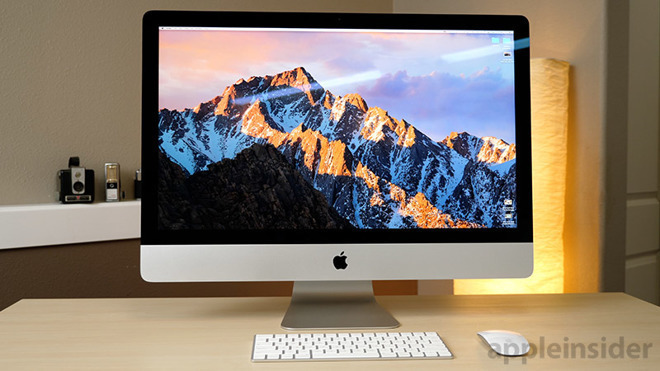 The 21.5-inch iMac's advantages include considerable power at a decent price. The smallest iMac, the 21.5-inch model, starts at $1,099 retail but is on sale for $949, which is one of the lower prices of any Mac and an affordable price to pay for a huge amount of computing power. The entry-level model sports a "Kaby Lake" 2.3GHz Processor and 1TB Storage, along with 8GB 2133MHz memory, configurable to 16GB. That model also offers two ThunderBolt ports and Intel Iris Plus Graphics 640. The next level up, priced at $1,299, adds a 4K Retina Display, while upgrading the processor up to 3.0GHz (the storage is still 1TB.) The memory is up to 8GB 2400MHz, configurable to 16GB. The top model, retailing for $1,499.00, but on sale for $1,349 at Apple authorized resellers, keeps the Retina 4K Display and upgrades to a 1TB Fusion Drive. It features a 3.4GHz Processor, and features 8GB 2400MHz memory, configurable up to 32GB. In our review of the current generation of iMacs in June 2017, AppleInsider wrote that the line "offers a great lineup for new buyers to jump in or a strong upgrade for users looking for faster, sustained performance in a great looking package with a breathtaking display and strong connectivity features." 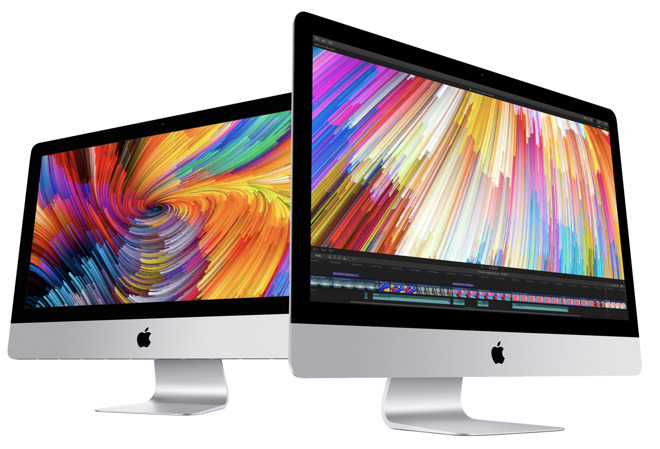 The 27-inch iMac models are even larger, and more powerful, also coming in three configurations — all of which sport a Retina 5K Display. The entry model retails for $1,799 and is equipped with a 3.4GHz "Kaby Lake" Intel Core i5 processor, 1TB Fusion Drive, and a pair of ThunderBolt 3 ports. Shoppers can currently save $150 on the standard config at Apple authorized resellers. The next model up, for $200 more, upgrades the processor to 3.5GHz, while keeping the same processor and Fusion Drive. The high-end model, starting at $2,299, brings the processor up to 3.8GHz, while doubling the Fusion Drive to 2GB. "The latest Kaby Lake iMacs deliver strong refinements to Apple's most popular desktop Mac line," AppleInsider wrote in our review of the systems. "The 5K Mac models deliver performance improvements at a better price than previous models, although we recommend users opt for at least the middle tier (or upgrade their Fusion Drive to the more SSD-rich 2TB or larger options)." The iMac Pro isn't particularly aimed towards students; Apple's website says it's for "everyone from photographers to video editors to 3D animators to musicians to software developers to scientists," with no mention of students. 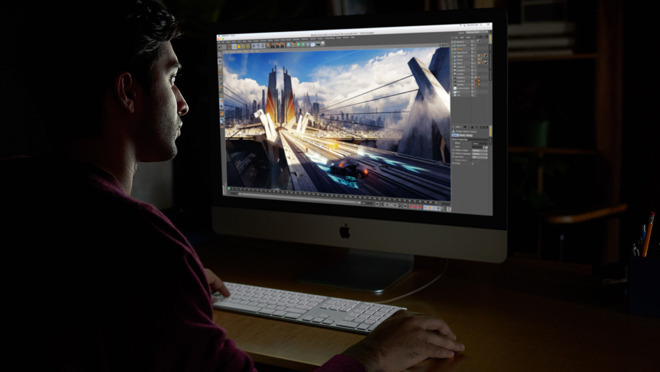 But if you do decide you need that much power, the iMac Pro features a 27-inch, 5K Retina Display screen, and an 8-Core, 3.2GHz Intel processor, configurable for up to 18 core. The iMac Pro retails for $4,999, but is currently on sale for as low as $4,599 at Apple authorized resellers. AppleInsider reviewed the iMac Pro in January, stating that "the internals are way ahead of their time," and sporting "a ludicrous amount of power to be crammed into a thin all-in-one machine." The equation on which desktop Mac to buy is pretty straightforward right now. Apple also still offers the Mac Pro and Mac Mini, but AppleInsider does not recommend them for education purposes, as neither is close to current. So, the the best iMac for you depends in many ways on your needs. As far as basic education goes, any model will help students crank out papers and research topics equally well. If you're looking at a discipline like graphics design, the 21.5-inch model will cover nearly everything. Consider the larger 5K iMac line for a boost in power and for a larger screen for photo editing and other design needs. The iMac Pro is an amazingly powerful computer, and is overkill for most needs. But, for 3D rendering and similar computationally intensive needs, it is the way to go —assuming the cost isn't a consideration. Apple continues to offer education pricing to "current and newly accepted college students and their parents, as well as faculty, staff, and homeschool teachers of all grade levels." However, Apple authorized resellers often have even more aggressive discounts without the need to furnish a student ID or .edu email address. If you're shopping for a new Mac for high school or college, be sure to check out our Price Guides to find the best deals and lowest prices on Apple hardware. Updated throughout the day, shoppers can redeem exclusive coupon discounts, as well as instant rebates, on current and closeout models at Apple authorized resellers. 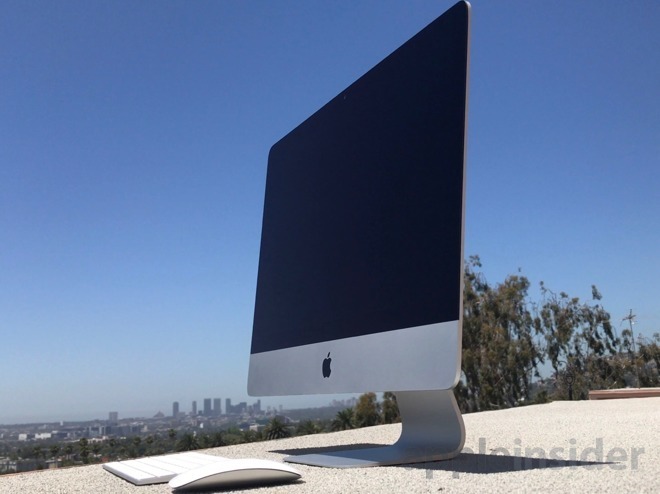 Current discounts range from up to $500 off current iMacs to up to $1,050 off closeout models. Many retailers also only collect sales tax in a handful of states and tack on free expedited shipping to a number of products, further adding to the benefits of shopping online. Need help? Send us a note at [email protected]ail.com and we will do our best to assist.